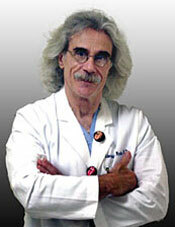 Lawrence B. Werlin, M.D., F.A.C.O.G. Practicing in Orange County, Calif. since 1982, Dr. Lawrence B. Werlin is a nationally noted specialist in Reproductive Endocrinology & Infertility. He is the founder and Medical Director of Coastal Fertility Medical Center located in Irvine, Calif., and the co-founder of the Corona Institute for Reproductive Medicine & Fertility in Corona, Calif. Werlin is also principal investigator of GENESIS Network for Reproductive Health, a think tank of fertility researchers from academia and private practices. Dr. Werlin founded and was the original Director of Hoag Memorial Hospital's Fertility Services center in Newport Beach, Calif., which opened in January 1986. He currently serves as an Associate Professor in the Division of Reproductive Endocrinology & Infertility at the University of California at Irvine, where he has been a member of the Clinical Faculty since 1982. His credentials as a leader in Reproductive Endocrinology and Infertility earn Dr. Werlin the respect of his peers and patients. He pioneered the use of Preimplantation Genetic Diagnosis (PGD) in Southern California, and is considered a nationally noted expert in its application. Today, he is the principal investigator of two major PGD studies that are forging the way for the future of reproductive medicine. Among his many accomplishments, Dr. Werlin was honored as the recipient of the National Fellowship in Reproductive Medicine, and served as the National Fellow in Reproductive Medicine at the National Institutes of Health. He has also served as Chairman of the Validation Committee for the Society for Assisted Reproductive Technologies for nearly a decade. Dr. Werlin has been listed as a "Best Doctor in America�" (1996 - 2005), in Orange Coast Magazine as one of Orange County's Top Doctors (continuously from 1996 to 2005) and he has been honored with the "Physicians of Excellence" award. Dr. Werlin has also been accepted as a life member of the National Registry of Who's Who in America and Who's Who in Medicine & Healthcare. He has authored numerous abstracts and articles in peer review journals, and is currently a reviewer for the journal "Fertility & Sterility." Dr. Werlin is a graduate of the Mount Sinai School of Medicine, New York, NY, and he is Board Certified by the American Board of Obstetrics and Gynecology. He is a member of the American Society for Reproductive Medicine (ASRM) and the Society of Assisted Reproductive Technologies (SART), an organization in which he has held national offices since 1990. He is also a member of the Pacific Coast Fertility Society.